The uwavc senior team learns some new tricks and finishes 11th in the flv 2017 champions league tournament in tokyo, Japan. 11th of March, 2017 the UWAVC Mens Superleague Team and coaches, 15 in all, took off for a training camp and participation in the 2017 Japanese Champions league. The tournament is set up to keep those semi-professional and retired professional players still competing in the great sport by offering a annual tournament championship for Japanese Clubs across the country and a select few international entrants. UWAVC was invited to participate in the top 20 stage of the tournament after 238 teams battled their way through the two preliminary grading tournaments. While the clubs team wasn't able to make any of the medal matches they won 4 games across 2 days to finish a respectable 11th. 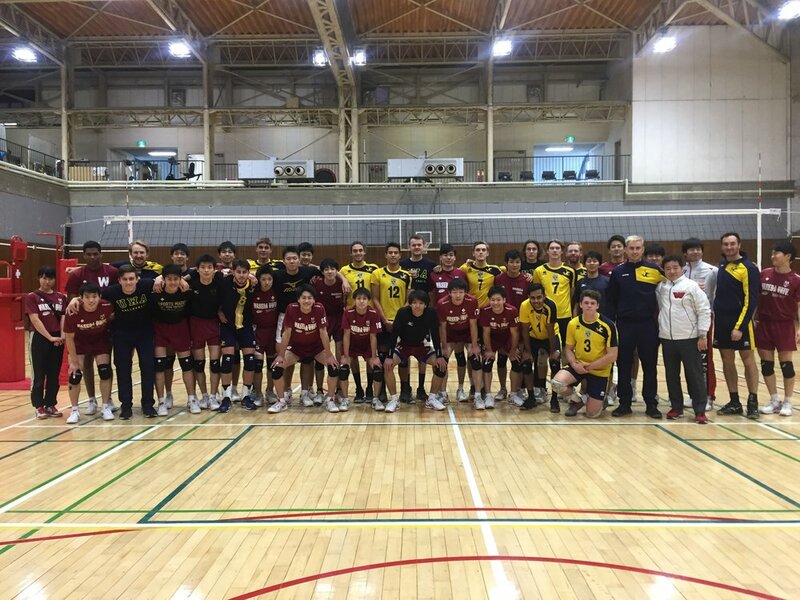 In the few days leading into the tournament the players were treated to training and practice matches against other universities in the Tokyo region. 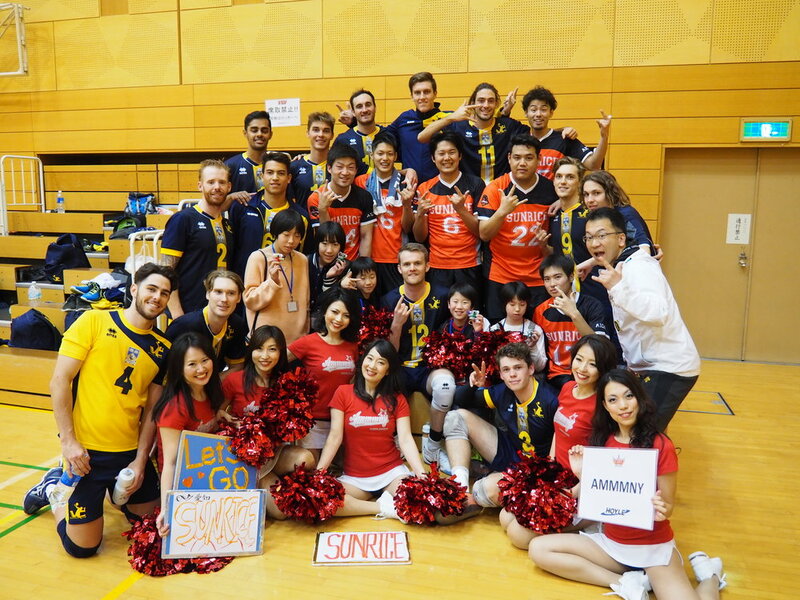 The players witnessed a level of dedication and discipline from the Japanese club members that is unseen in Australian Club volleyball, and most left Japan feeling that Australia has a long way to go if we want to build the same level of club volleyball that the top teams display there! 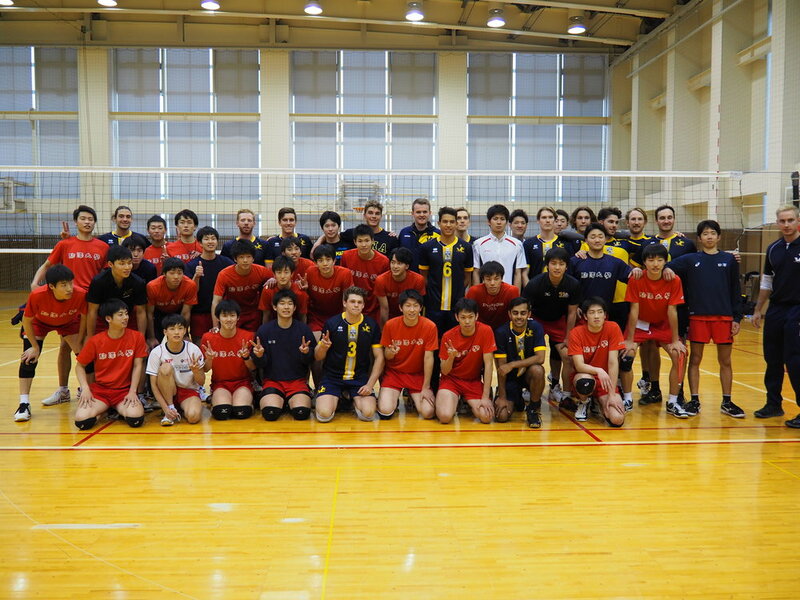 While the player returned to Aus somewhat exhausted and broken from the tiresome schedule that we had on tour, i think there was an overwhelming feeling of satisfaction and appreciation from the participants that we were given the opportunity to see and experience a little piece of Japanese culture and play some high level volleyball too!